The creator of North East detective Vera and the Shetland stories, Cleeves said the restoration even in the darkest crime novels is comforting for readers in an age of confusion. Cleeves said that writing genre fiction has also given her comfort and stability after she was diagnosed with cancer, and her late husband lapsed into serious depression. The author, who has penned more than 30 books at a rate of almost one per year, writes about crime in communities that she believes can offer an escape for readers. 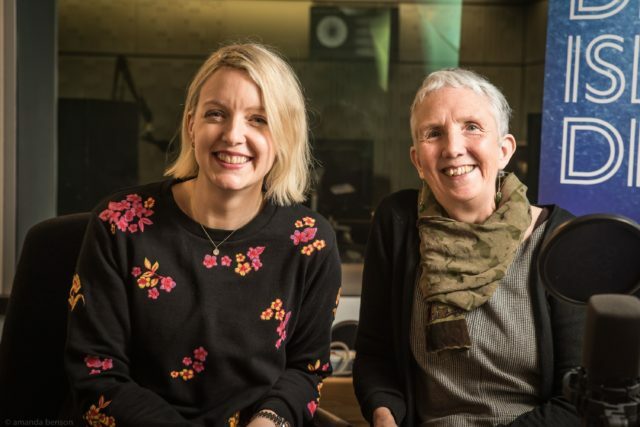 Speaking on BBC Radio 4’s Desert Island discs, she told host Lauren Laverne: “In some sense, in this time of confusion and chaos that we’re living through, there is something very reassuring about traditional crime fiction – order restored at the end, justice seen to be done. Country-born Cleeves has maintained a deliberately non-metropolitan life since leaving community work in London for the Shetland islands, where she met her husband Tim. The writer was diagnosed with cancer in her early 30s, and faced the struggle of watching her husband being consumed by depression and alarming delusions. She said: “There were times where I would be lying next to Tim in bed and it felt like I was lying next to a stranger. I didn’t know him. “I remember going in [to hospital], and one of the charge nurses said ‘don’t worry we’ll get him back for you’, and not really believing her. But they did get him back and he was properly diagnosed. Writing was again a comfort in a time of her own personal chaos, and she said her husband’s lapses in mental health were educational for her daughters. Cleeves said that the role of women has changed in crime fiction, with female characters increasingly prominent and fewer appearances on the page as “the wife, the victim, the prostitute”. The author worked with murderers in her early career as a probation officer, and has downplayed the role of death in her work, with no interest in centring the action around violent people she found to be deplorable in real life. The full interview with Cleeves can be heard on Desert Island Discs at 11.15am on Sunday on BBC Radio 4 and BBC Sounds.